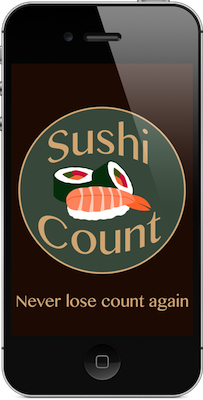 With Sushi Count, you’ll never lose track of how much sushi you’ve eaten at an all-you-can-eat sushi restaurant. No more fumbling for pens, making unreadable marks on chopsticks, or incorrect estimations. All you have to do is tap the virtual sushi every time you consume a piece of real sushi, and Sushi Count takes care of the rest.